This article was created in partnership with BAWMedia. Thank you for supporting the partners who make SitePoint possible. There are a host of websites out there sorely in need of an update. Designers can do so by incorporating one or more of the current web design trends. Current trends involve everything from upgrading color schemes to reorganizing design content. It can be a long and laborious task, something most web designers would prefer to avoid. The same designers are also leery of quick fixes, out of fear they will compromise the quality of their work. 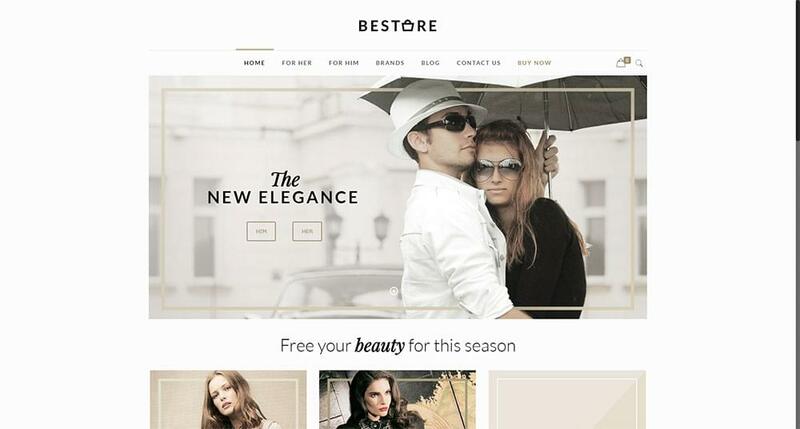 BeTheme provides a fast and easy way to redesign a website. It offers a selection of more than 350 pre-built website designs. These templates can be customized to satisfy a business's need for a website. The finished site will have an up-to-date look and feel, having many of the necessary changes already built in. There’s more than one way to quickly redesign an outdated website. It is possible to transform it into an up-to-date award winner. You can do so by using a pre-built website as a starting point. Here are 7 approaches to pick and choose from. They are accompanied by pre-built website examples to illustrate the possibilities. A dynamic homepage makes it much easier to capture a visitor's attention. It helps to convince them to stay around awhile. Most visitors decide whether to stay or leave within about 3 seconds. If you can keep a visitor engaged for longer than that, you have a potential customer. A dynamic homepage stokes a visitor's curiosity and a desire to see what surprises lie ahead. This can be achieved with a striking image, a video, or an animation. Hint: If you use a video make sure the Play button is front and center. This is usually an easy fix and it can carry with it a big impact by dramatically changing a website's look and feel. A new color scheme can play a big role in helping a business meet the goals. A pre-built website makes refreshing the color scheme easy. Its colors will be in line with existing industry or business trends. Hint: While you're at it, use plenty of white space. It makes a website look up to date and allows the colors to stand out. Many older websites are in need of a total architectural overhaul. Finding the right balance when attempting to combine text with images is never easy. This is unless you're working with a pre-built website. Such a website can take into account much of what needs to be done. As you can see from the following examples they do a great job of attracting and engaging visitors. A good first step toward giving a website a new, refreshing look is to start with the homepage. Adding a large, stunning visual is often all it takes to entice a visitor to stick around and explore the site. Adding the needed imagery can be done in seconds. These three pre-built websites demonstrate that the results can be outstanding. BeDigital is an example of using a fascinating 3D still that's impossible to ignore. BeEco uses imagery to integrate the most important information in an unexpected way. Or try giving a common, overused image a clever twist by changing the background. BeAirport does this by turning a classic image of an airplane into a fascinating visual. There's a host of important features and fine detail to work when putting a modern online shop in place. Some of them are generally lacking in older websites. There is one more thing to consider when refreshing an eCommerce website. It is the fact that a thousand or more other websites can be selling the same products. An eCommerce pre-built website is generally all you need to bring an online store up to date. Like this, you can make the shopping experience a smooth and intuitive one. 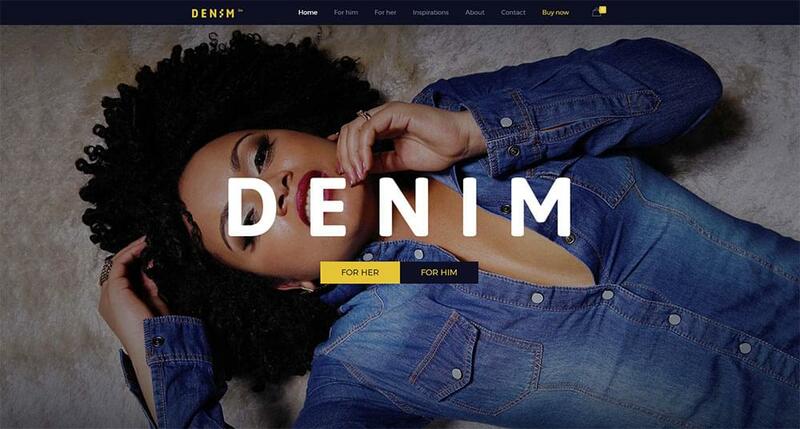 These templates follow the golden rules of eComm. Thus, it will take but a few hours to get your redesigned online shop up and running. The layout of a portfolio website can either add to or detract from the material being showcased. Many older websites don't do a very good job of presenting a portfolio's content in the best possible light. Refreshing a portfolio website can involve just using a pre-built website. Take it and upload your content. A cool front page helps too, as you can see here. The tough part here is to decide which content is so important that it deserves to be highlighted. You also need to identify which content simply needs to be reorganized. While it's up to you to decide, using a pre-built website can, for example, make the decision process much easier. Redesigning a website typically requires some careful thinking. However, it doesn't have to require a lot of work or take a great amount of time if you know these 7 express redesign approaches. You just have to make good use of BeTheme's pre-built websites to help you along the way. These templates even help with your decision making processes. Much of what needs to be done has either been done already or points the way to what you'll need to do. If you don't have one or more of these pre-built websites to get started, you can get one here.